Originally Submitted to FurAffinity.net on Dec 6th, 2010 08:07 PM. "Be good! or you won't get your Christmas present." 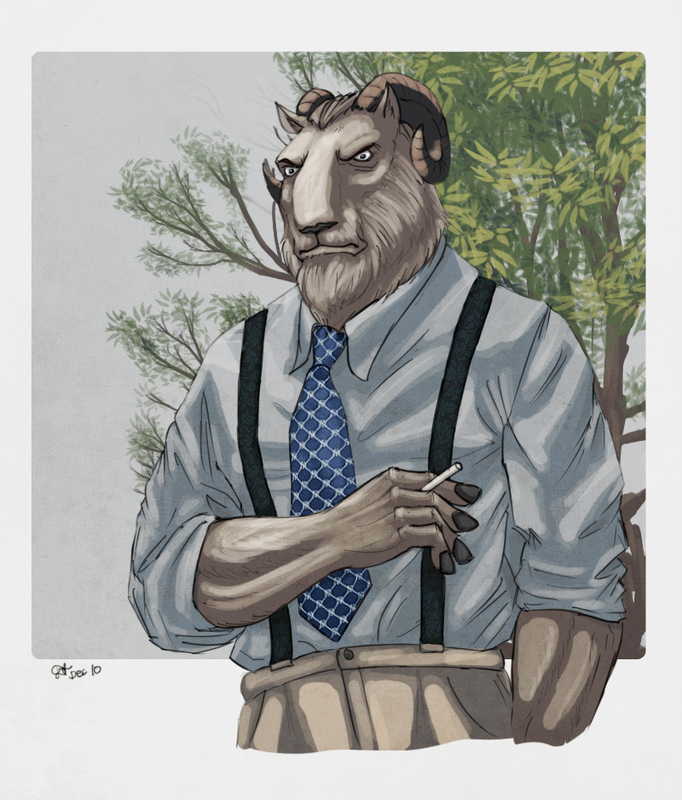 Very funny that this guy, Thomas is my new favorite character from Blacksad vol.4. Why? Because so far all my favorite characters are carnivore. Just a quick art to get my hands on track before I working on another big artwork. Thomas Lacapelle © Canales, Juan Diaz-Canales & Juanjo Guarnido.